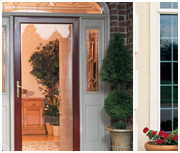 NYC Windows and Doors installers, technicians, and service providers work primarily with replacement windows and door replacement projects. Although many companies offer a variety of renovation services, we strictly focus on doors and windows, giving us the ability to complete the projectquickly, efficiently, and correctly. This allows our partners to deliver quality craftsmanship in installation and friendly service to provide you with a pleasant experience. Regardless of the job description, our service providers give each project 110%. Experienced and skilled, we work with a variety of different projects and clients from residential homes, high-rise and mid-rise commercial applications, to condominium owners looking to replace their doors or windows. Our office staff will communicate all the project details with those in charge, whether it’s the homeowner or property manager, we keep everyone well-informed. We know that hiring credible replacement window companies is essential, don’t forget about the office staff and culture that will keep you in the loop and make all the paperwork easy. They’ll ensure all your questions and concerns are answered every step of the way. Whether it’s your home or if you’re a property manager, the staff will communicate and collaborate with you to make sure the project goes as planned. This is key in case you have last minute changes you’d like to make and we will do our best to seamlessly implement the new changes. We also have a rating system at the end of your project for you to complete as we value your feedback and make changes as suggested to better serve our clients.